ESSEX ROAD IV – eight contemporary artists interpret a very particular part of London. Now in its fourth year, Tintype’s ESSEX ROAD invites eight artists to each make a short film connected to the mile-long north London street. 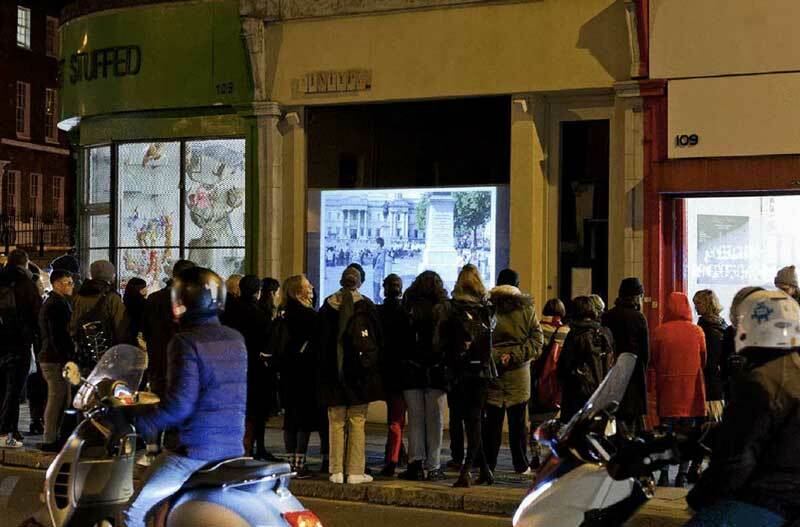 The gallery’s large window, on a busy corner of Essex Road, becomes a public screen for six weeks over Christmas and New Year.